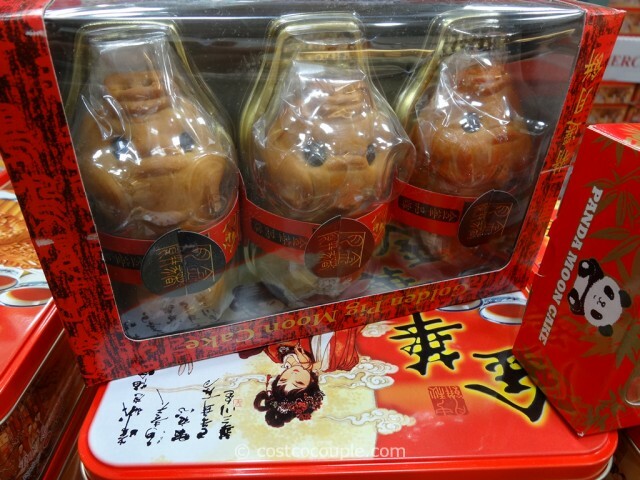 The Chinese 2014 Mid-Autumn Festival is on Sept 08, 2014 and Kam Wah Moon Cakes are now back in the store! 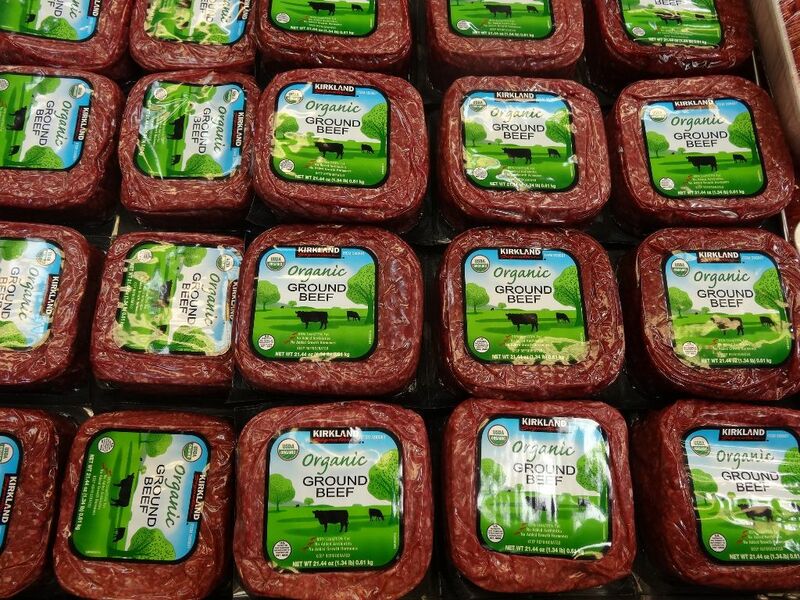 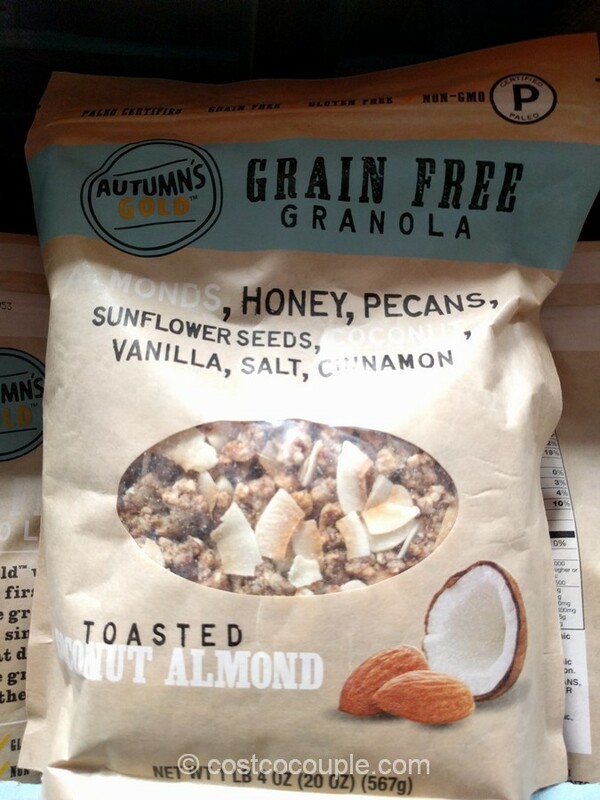 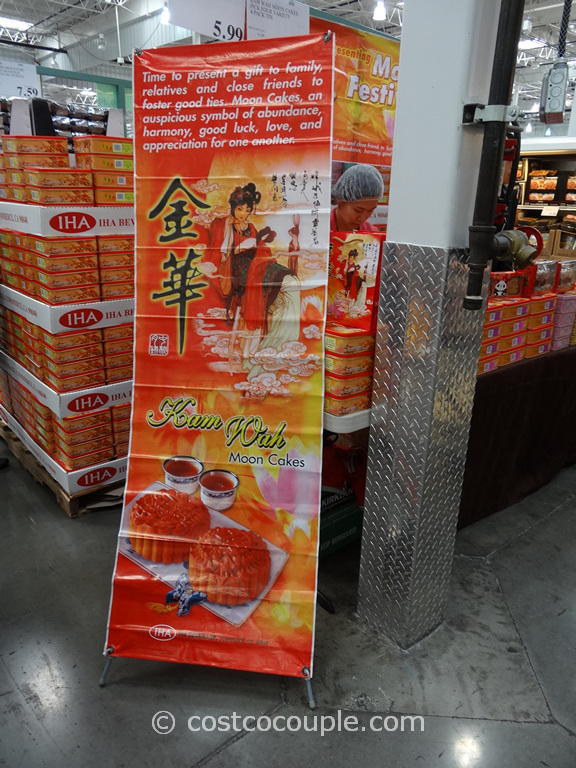 We spotted them at the San Jose Costco yesterday. 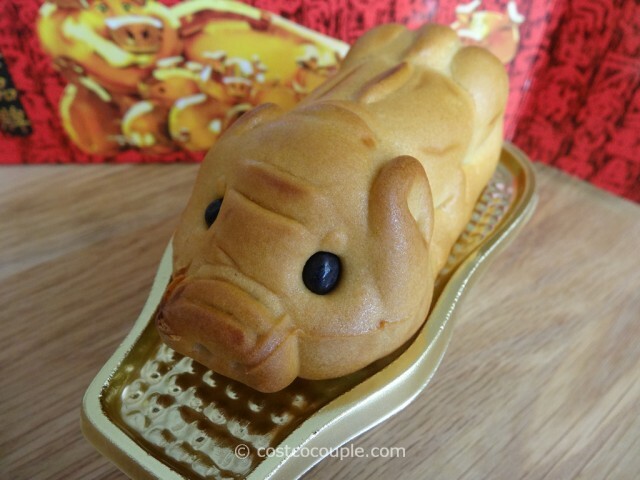 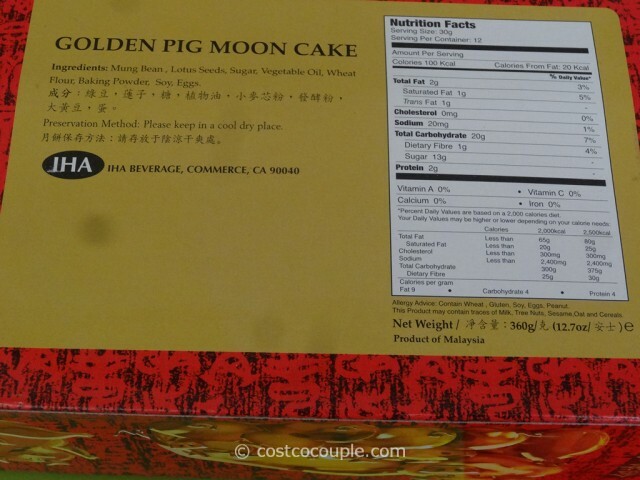 And just like last year, you can get 4 moon cakes in a tin or the smaller and very cute packages of 3 Panda Moon Cakes or the 3 Piggies Moon Cake. 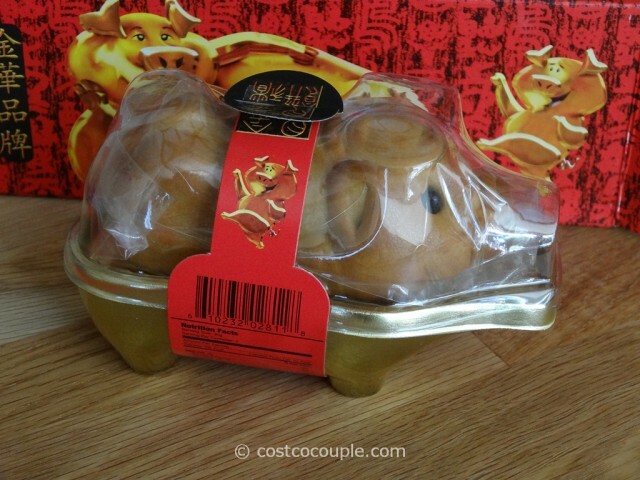 Both the panda and piggies have lotus paste in them. 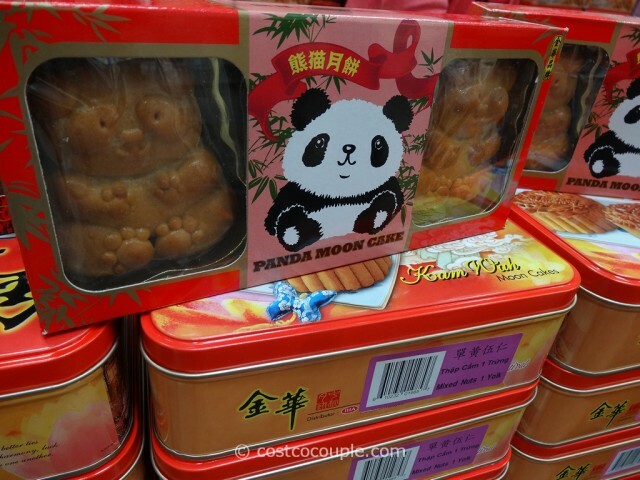 You can check our photos for the panda moon cake in last year’s post here. 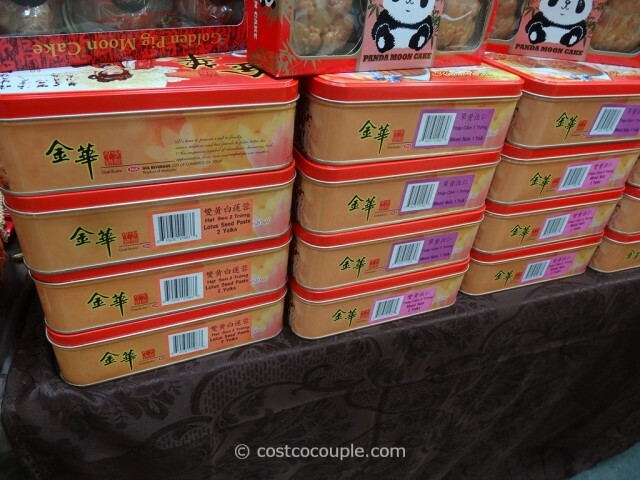 For the moon cakes in the tin box, there are various varieties available like Lotus Paste with 1 yolk or 2 yolks, Mixed Nuts with 1 yolk or 2 yolks, etc. 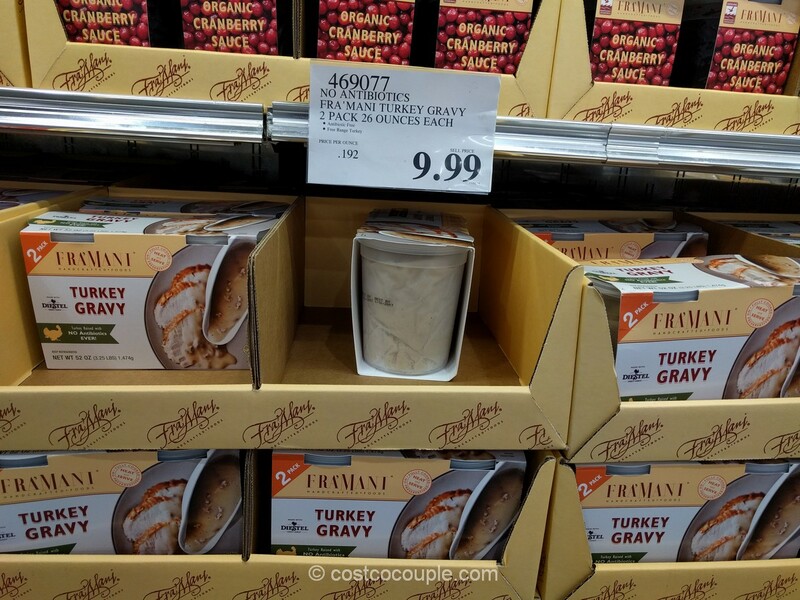 If the salesperson is present, I think you can ask them to mix and match the varieties in the tin. 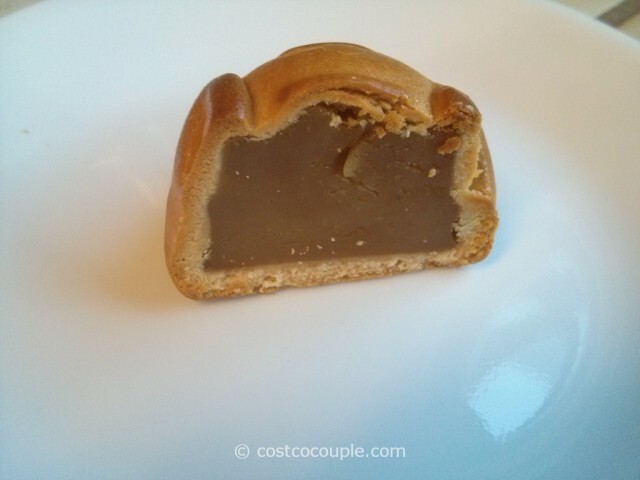 Most places will charge more for moon cakes with 1 yolk and 2 yolks, but at Costco the price is the same for all varieties so it’s a great deal if you like moon cakes with 2 yolks. 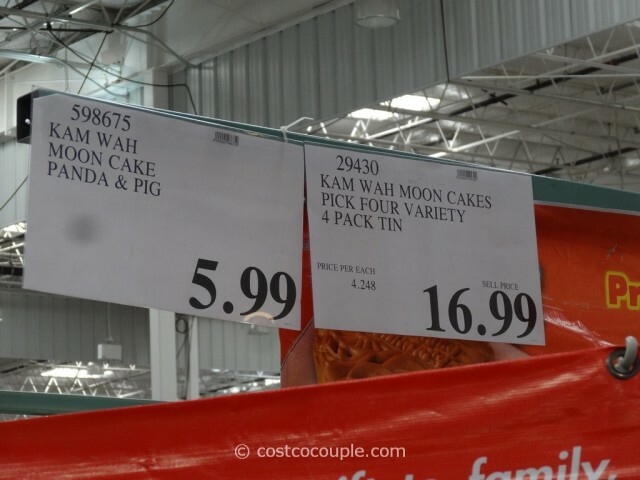 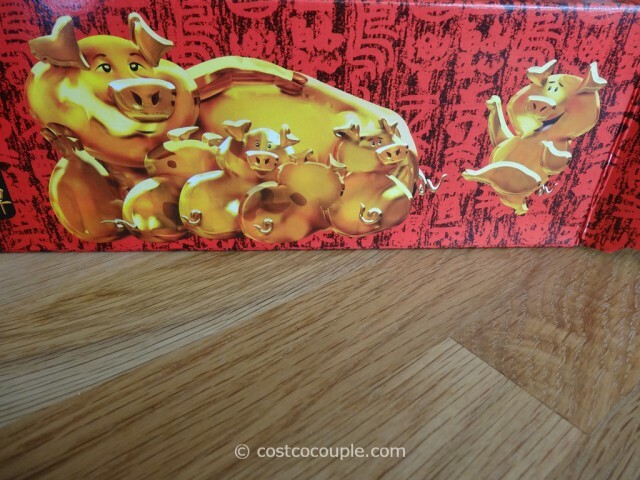 The Kam Wah Moon Cake in a 4-pack tin is priced at $16.99. 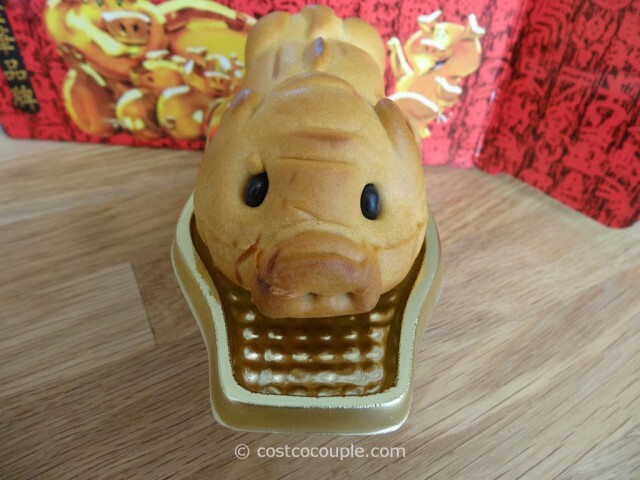 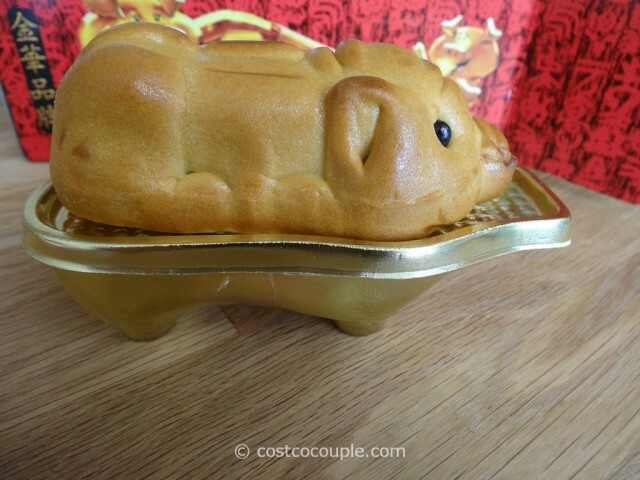 The Panda Moon Cake and the Piggie Moon Cake is priced at $5.99 each.